It was a fantastic afternoon out on the greens at the North Vancouver LBC as the medal rounds were sent into action early this morning. 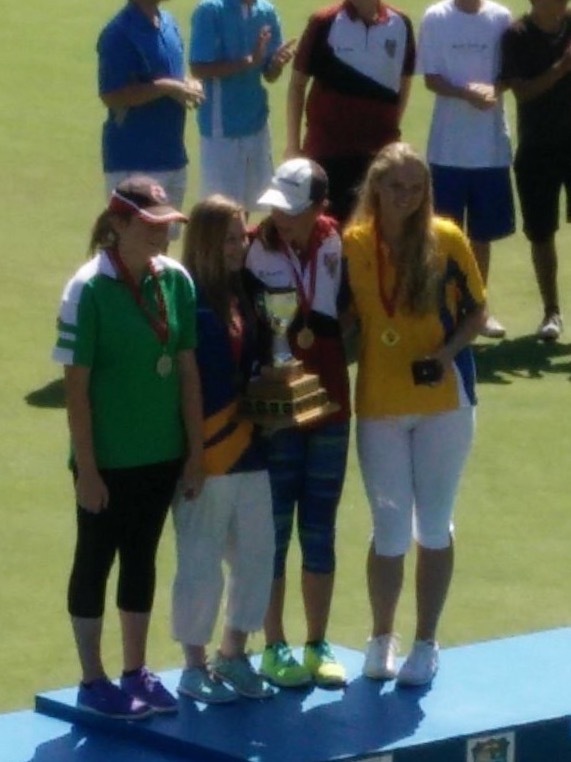 It was a Golden day for Carah Webster of British Columbia. With the Medal matches already determined through the round robin play, as Jordon Kos lead the charge with a perfect 7-0 record and Carah Webster holding second place at 5-2. These two would battle it out in the race to 18 points going back and forth as the lead changed hands several times. But it was British Columbia’s own Carah Webster that pushed through to the final Bowl, with an amazing draw to the ditch to take the final point and take the crown of Canadian Champion. In the Bronze Medal match Emma Boyd from BC lost a close 18-17 match to Ontario’s Baylee Van Steijn will take home a Bronze medal and Emma Boyd will Finish 4th. For the boys it started early this morning with a semi-final shootout as Braeden Campbell (NS) beat Carter Watson (SK) to book his place in the final match. On the other side it was Robbie Lawn (MN) vs Michael Fraser (ON) which had the more experienced Law going through to meet Campbell in the Finals. Once again these two had a great game going shot for shot, but it was Braeden Campbell who would repeat as Canadian Junior Champ once again as he finished the game with an 18-13 score. In the Bronze Medal match it was Michael Fraser that beat Carter Watson 18-13. There were great Bowls played by everyone throughout the afternoon and it will continue tomorrow with the Foster-Lang Pairs and into the weekend as the Under 25’s will start on Saturday. We encourage everyone to head over to North Van LBC to support these young athletes and see the stars of tomorrow. Congrats once again to all our Athletes that did us proud out on the greens!